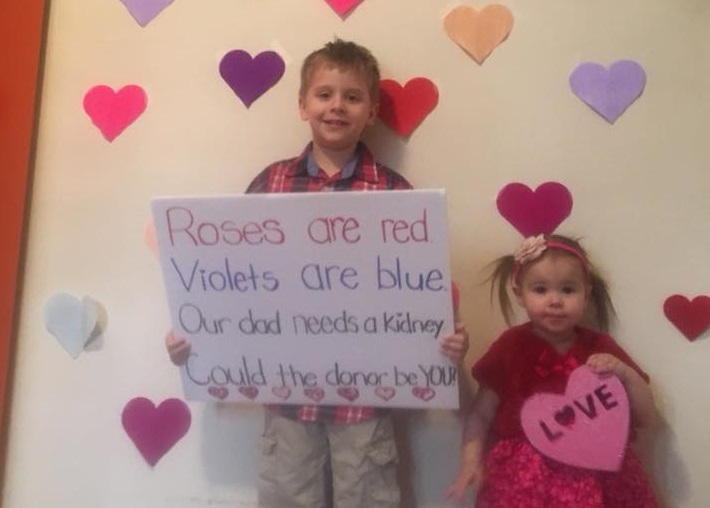 This Valentine’s Day a mother and her two children continue in a passionate plea for a kidney donor. In a previous story on Newsymom.com we shared T.J’s journey that began with a Type 2 Diabetes diagnosis at just 16-years-old. Now 35-years-old, T.J. lives every day around the schedule of his Peritoneal Dialysis, which allows him to do his treatments at home. Valentine’s Day is a holiday that recognizes love and encourages people to express their affection for one another. Rachel says the best gift she could give her husband would be life, “I pray for the day when we can live that isn’t centered around that machine. A kidney would mean no more dialysis,” she said. She took to Facebook with a reminder to the public that blood type does not matter because of the special program T.J. is on. It essentially acts as a match/kidney exchange. 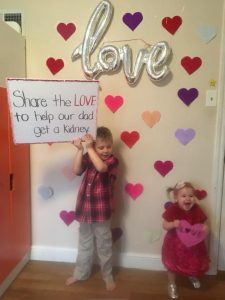 If someone donates a kidney that is not a match for T.J. that kidney goes to a matching recipient and T.J. immediately receives another one that is available. “Anyone interested in becoming a donor; let’s be honest, a hero can call Nancy,” added Rachel. Nancy, the representative coordinating T.J’s donor process, can be reached at 717-231-8825. Another representative, Kendra, can also be contacted at 717-231-8757. 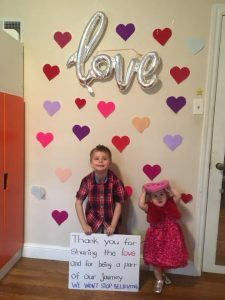 Rachel noted despite being tired from not sleeping well due to dialysis and kidney failure, he still made sure his family had a wonderful Valentine’s Day. “Thank you for the shares and let’s keep sharing until our wish comes true,” added Rachel.